I Spy Animals: Eye of....Hypno-toad? Would you have believed it if you hadn't seen it? This little frog is called a Ghost Glass frog. Can he hypnotize with those eyes? I bet you never noticed this, but most frogs DO have strange and beautiful eyes...like colorful gemstones! If you think these eyes are intriguing, wait until you see the frogs themselves. So many colors and patterns. And then there's the frog you can see through, really! 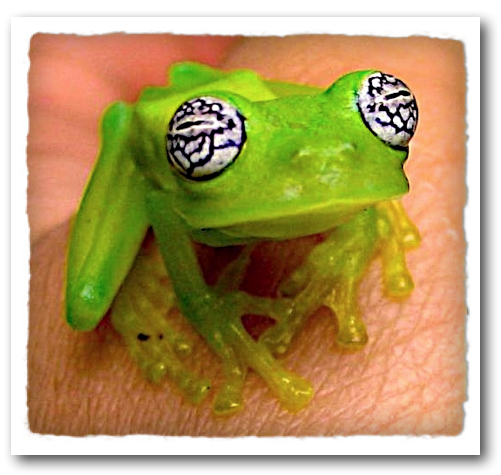 The Glass frog...coming up next post.